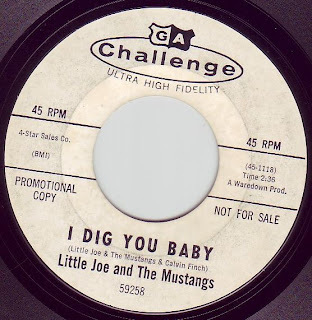 Considered by many to be the definitive "freakbeat" tune. Lead Singer Don Fardon later had a big hit with "Indian Reservation" which was also huge for Paul Revere & The Raiders in 1971. Aside from the fact that these guys were from L.A., and Beach Boys producer Nick Venet handled this, I can't tell you much more. 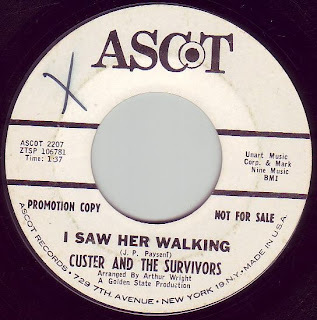 A true classic on the 'A' side, and an often neglected Dylan cover on the 'B' side. As long as we're on a Dylan thing, here's a nice fuzz laden version of Dylan's classic. Kinda reminds me of Barry McGuire. A real popular band from Columbus, OH. 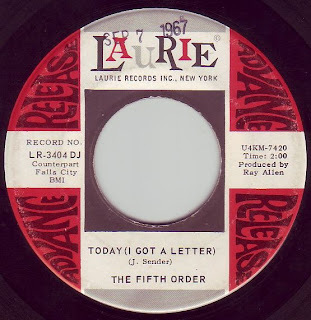 The Fifth Order had a big regional hit in 1966 with "Goin' Too Far" (hear it on Boulders Vol. 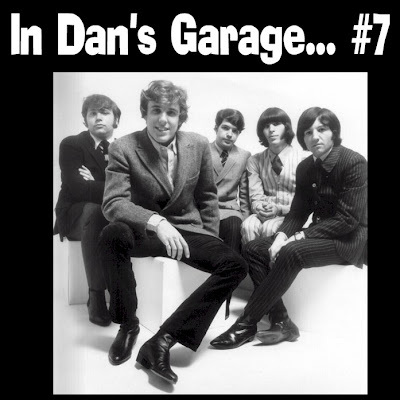 1) on Diamond Records and followed up in 1967with this garage/pop two sider. 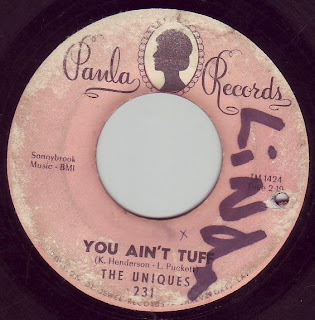 Joe Stampley was the lead singer for the Uniques, who became a pretty big country star after releasing a slew of 45's with this band. This is one of their best, which was covered by Lindy Blaskey and The Lavells later on. 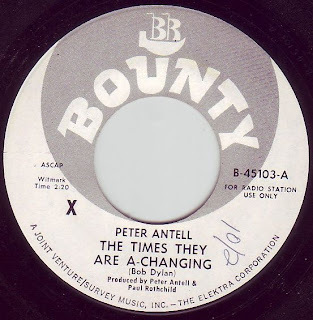 Another British band that recorded for Pye records (The Sorrows and Kinks among others..). 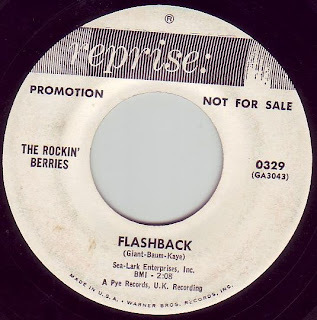 The Berries mixed Beach Boys/Four Seasons style harmonies and a solid invasion beat. 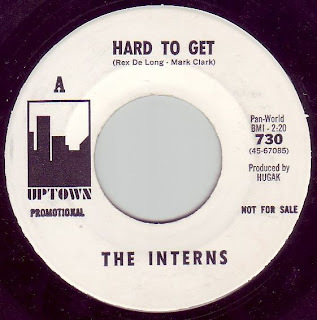 They definitely had their own thing going as evidenced by the contrasts in this 45. One of my all time favorites. 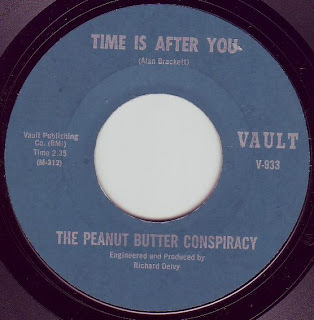 Reportedly from Connecticut, this was one of two 45's they put out. I guess the other one is in a 4 Seasons style, but I really haven't heard it. It's got an early 60's feel, but definitely a mid 60's punch to it. Kind of a cross between Surf and British Invasion sounds. From Portland OR, this group was definitely in the "Haight/Ashbury camp of hippie jugband style bands, ala The Grateful Dead. You can hear the whole San Fransisco style thing going on throughout this record. 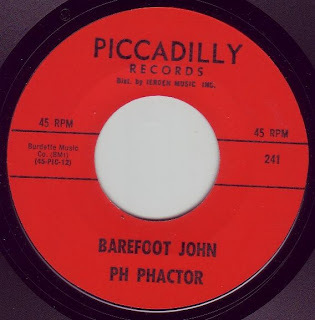 "Barefoot John" is the "electric" side, and "Minglewood Blues" (a staple of Grateful Dead concerts) is done jugband style on the flip. 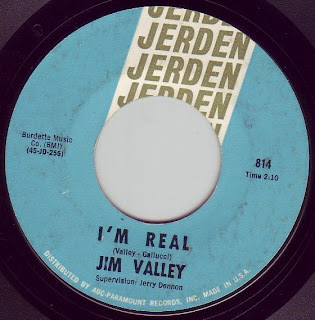 Jim Valley was the guitarist in The Viceroys and Don & The Goodtimes, but his real claim to fame was being in Paul Revere & The Raiders. 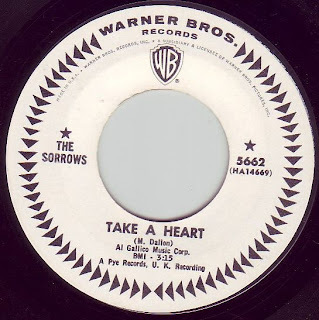 He played on the "Spirit Of 67" LP, but released this awsomely cool rocker of a 45 in between his Goodtimes and Raiders stints. A true blue Pacific Northwest pounder. 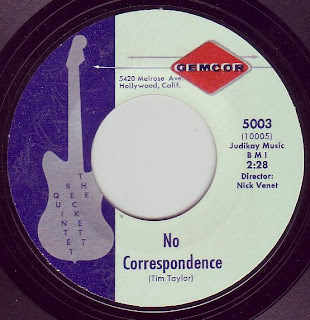 Excellent 60's psych from L.A.! This group should have been up there with The Jefferson Airplane, but for some reason never made it big like them. They had three albums, which are OK,but this is by far their best effort. All I know is that Mike Curb had something to do with this, and The Painted faces terrific "Anxious Color" is on the same label. Good lo-fi garage. 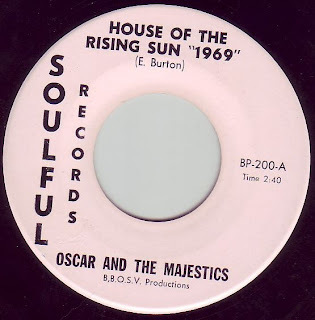 Oscar & The Majestics were from Gary, Indiana and had a few 45's on the U.S.A. label out of Chicago. Oscar reportedly had his guitarfitted with a piece of sheet metal over the neck so no one could see what he was playing. Talk about insecure!!! 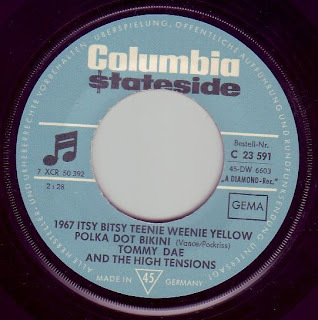 This 45 is truly amazing because while most bands were getting "progressive" in 1969, Oscar decided to keep it raw with this fuzz drenched monstrosity. Perfect two sider. 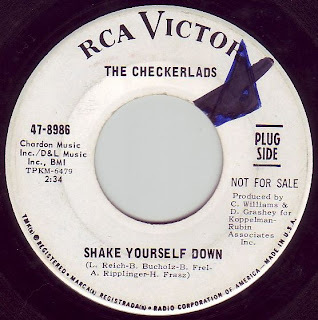 The Checkerlads were a Canadian group from Saskatchewan and this is one of a few 45s they released. I wish I could say more, but this record pretty much speaks for itself. 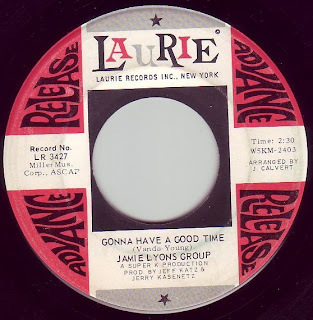 Jamie Lyons was the front man for The Music Explosion, who's "Little Bit Of Soul" is a garage/pop classic. 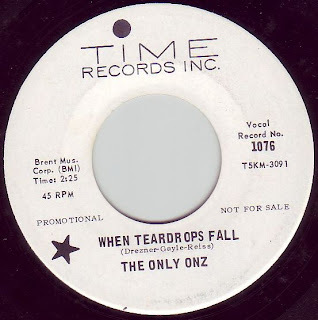 Jamie put out several 45's as a solo artist, and this cover of the Easybeats classic is one of them. This one's a little off topic...no...come to think of it, it's right on topic! 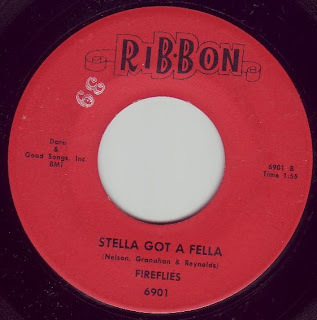 The flip side of a teenybopper ballad that charted in 1959, "Stella" perfectly illustrates how a band can turn on a dime and do a complete 180 degree turn. This song burns all the way, with nasty guitar and great vocals. I love it. A real haunting tune. 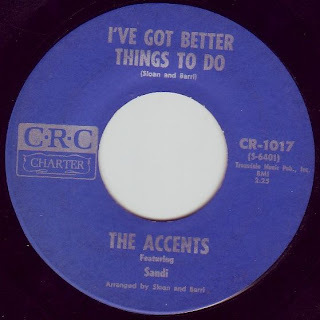 The Accents, who were from San Diego, provide a cool moody, almost surf like backing to "Sandi's" girly whine. This one grew on me, as I'm a real fan of "moody" garage songs. Great "beat ballad" from a guy who's presumably from th UK. This one's almost got a "mod" feel to it, which is one of the reasons I like it so much. 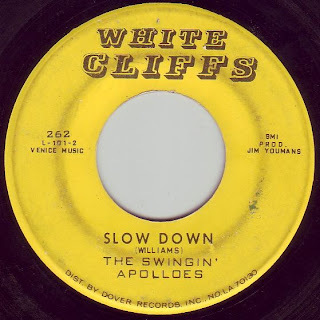 Reportedly from Atlanta, GA, "Slow Down" is a great version with a totally whacked out backward guitar! 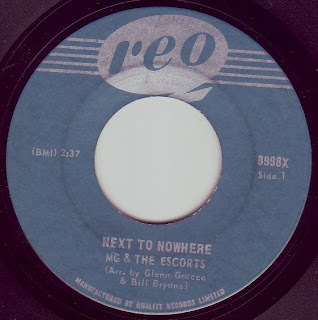 The flip is a crunching version of Eddie Cochran's "Summertime Blues". 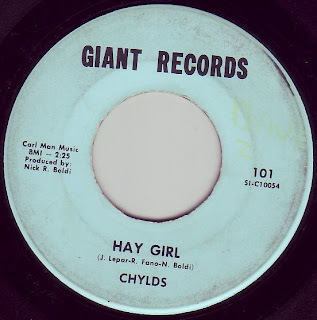 From Canton, OH, The Chylds released four 45's. 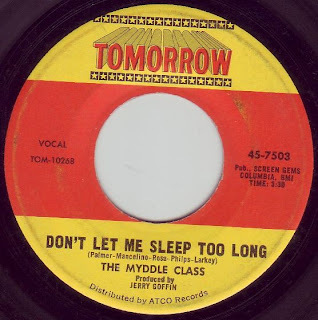 This one, their best, was released twice, and also appears on Warner Bros. "Psychedelic Soul" ain't so great so I won't go into that, and one last 45 (which I'll get to in the future) is more of a heavy psych number. 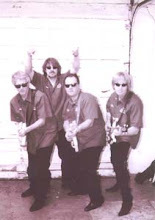 Drummer Joe Vitale went on to play with Joe Walsh in the 70's. 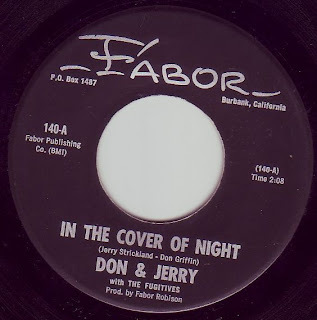 Don & Jerry were two songwriters from Louisiana (reportedly), and cut a couple of 45's as solo artists. This is a great two sider, with cool organ. Let's rewind to #5 shall we? This is basically the same band as the Pineapple Heard. 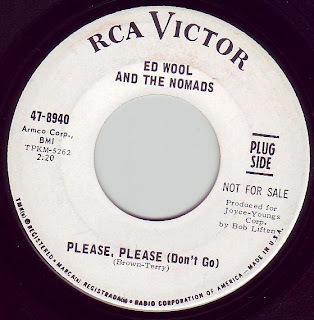 Ed Wool was from Watertown, NY about two and a half hours from my neck of the woods, and was one of the most popular bands in that area in the mid 60's. 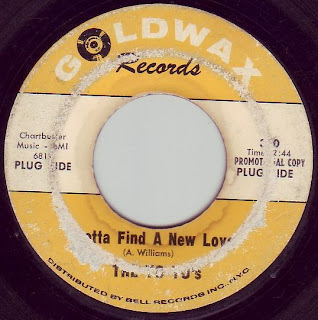 So popular, that it got him this 45 on RCA records. 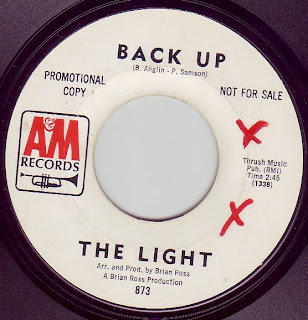 'A' side is a great version of the James Brown classic, and the flip is an awesome, moody garage ballad. Great stuff. Every once and a while I hear something that really strikes a nerve, and this one's a great example. It's not a "killer" in the sense that it's "snotty", or "grungy", or inept. On the contrary. These guys sound like they know exactly what they're doing. The vocals are incredible, and the 12 string guitar work is brilliant. 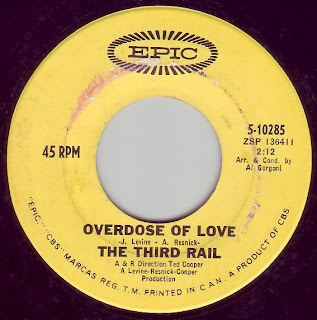 Much has been written about this legendary group from New Jersey, so I'll keep it brief by saying that this is another perfect two sided garage classic. Dig It. 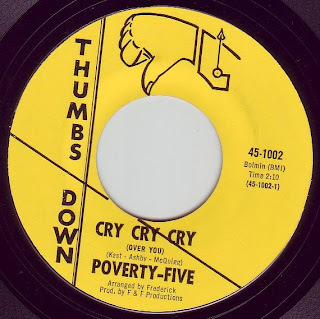 Who the hell names their label "Thumbs Down"???? Definitely on the top of my list, right up there with "Frogdeath". Terrific invasion styled two sider. Sorrow is pretty inept, as the guy shaking the tambourine can't seem to get it together with the rest of the band until about a third of the way in. I'm not sure what to make of this one. It sounds like some folky vocal group being backed by a garage band. Real lo-fi stuff. Hug me baby! SUFFER!!! YEAH!!!! One of the greatest biker tunes ever. 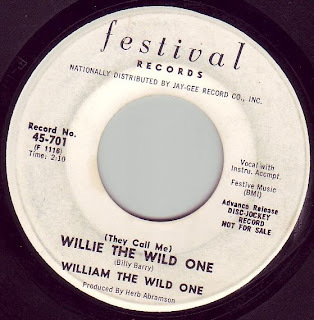 Willie sure sounds like a madman, and he can barely control himself on the ballad flip. 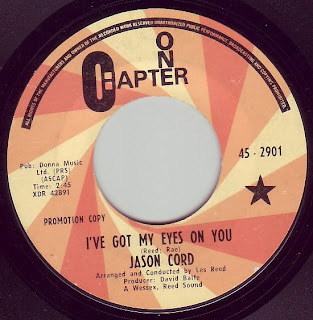 From Memphis, TN this is a great blue eyed soul tune with fantastic guitar/organ interplay. 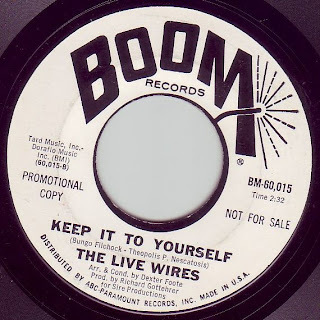 They later became The "Swingin'" Yo Yo's, and had a pretty good 45 on Jubilee which I'll feature in a later post. Yay!!! Here we go with number six! This is becoming a morning ritual every weekend. It's great to get to know my collection again. 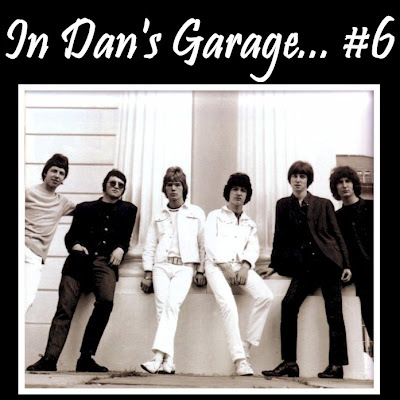 Here we have another mixed bag of garage, psyche, pop, and just generally cool 60's sounds for you. Enjoy!!! One of the hugest stars in the history of Australian entertainment. 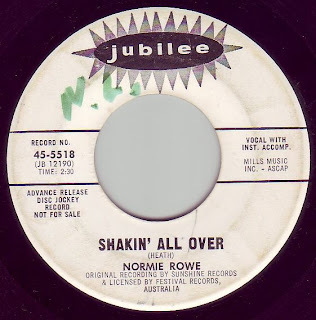 Normie put this out in '65. 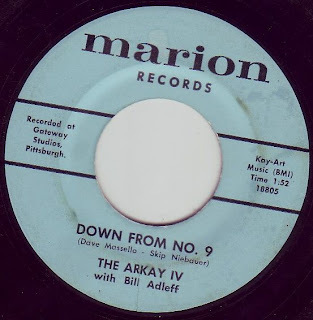 The 'A' side was a very cool version of Doris Day's "Que Sera Sera", done beat style. Kinda like "La Bamba" or "Twist & Shout". 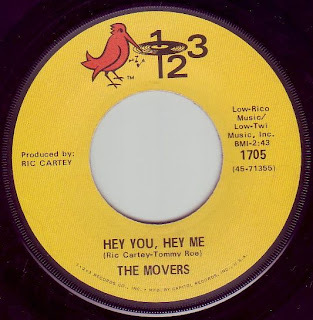 The 'B' side though, is a smokin' version of "Shakin' All Over". Normie does a "cabaret" show now, which I suspect is not nearly as good as this stuff. 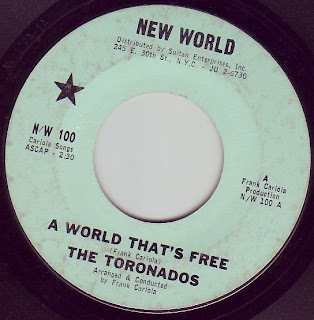 Excellent pop/psyche from Idaho Falls, ID., not Texas or New Mexico as first believed. 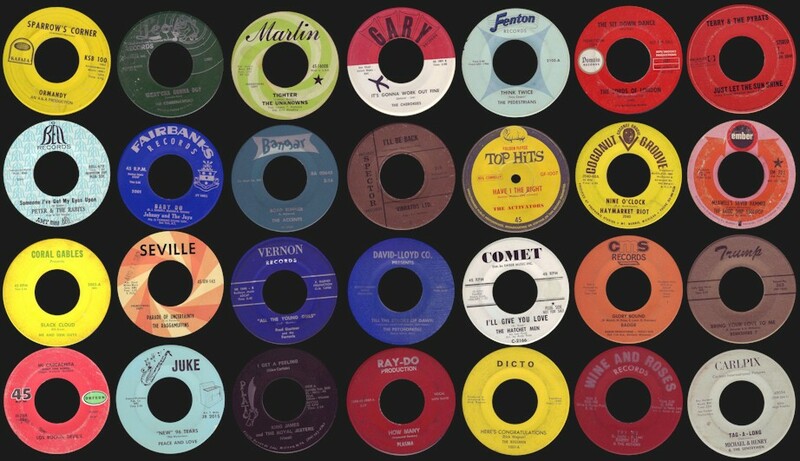 They recored at Norman Petty's studio, released a few 45's, and and album too. Wow. Talk about being all over the place. 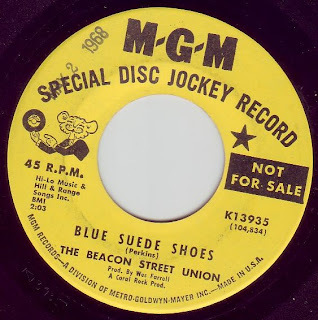 The "Union" were part of the "Bosstown" sound that was being promoted by MGM and it's affiliates. Orpheus, and The Ultimate Spinach were part of the same "scene" also and both bands put out some cool late 60's psychedelia. 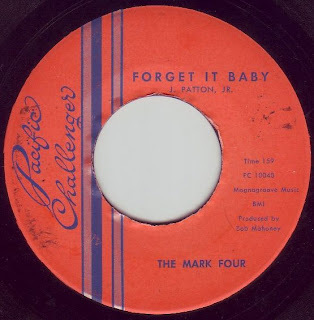 This one however is a totally nutso take on the Carl Perkins classic, and the flip, which I've also included, is a whacked out instrumental that is really worth hearing. Totally bizarre. 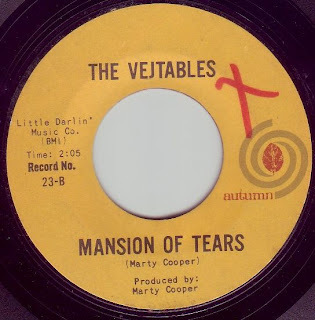 The Vejtables were a bay area group that had so many familiar people in and out of their lineups, that I can't list them all here. 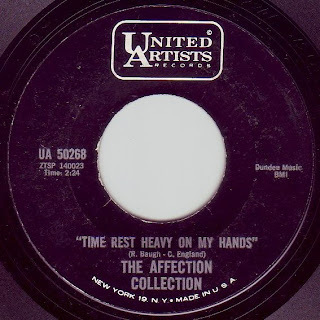 This was their second forty 45 on Autumn, which featured female drummer Jan Errico, a real novelty at the time. She went on to join The Mojo Men. Both sides are great folk rock tunes. Great punker with a cool "Gloria" riff. 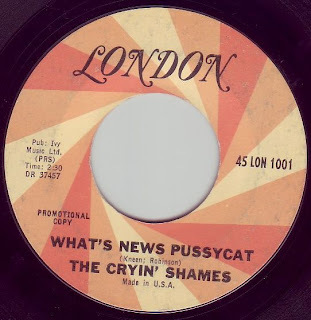 The 'B' side is is nice rip off of the Yardbirds' "Still I'm Sad". 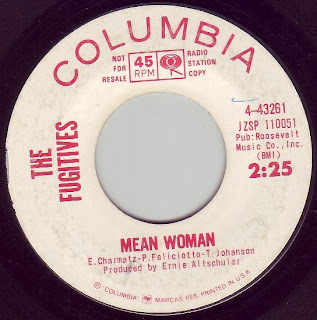 I don't know where these guys are from, but they had one more 45 on Capitol. Totally awesome punk/psyche pounder. Produced by Brian Ross, the same genius who produced the Music Machine. One of the best ever. The last, and arguably the best single they released. This and "No Friend Of Mine" are a real toss up. 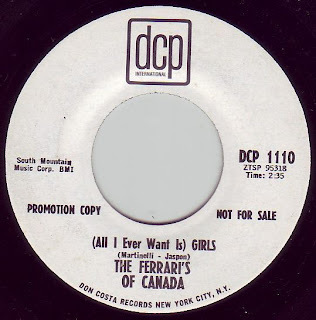 From Montreal, this band released four 45s including the awesome "A Someday Fool'. This, however is genius punk/pop, and absolutely one of my favorites. Great light folk rock from a bunch rumored to be from somewhere in New York. 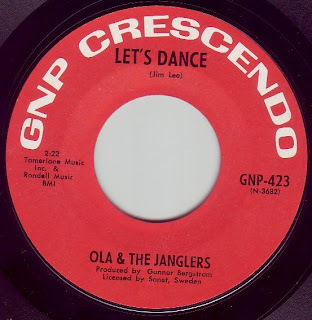 Haunting organ garage on the 'A' side, and a great dance mover on the 'B'. I'm not sure where Ron Gray is from, but Louisiana would be a good guess. 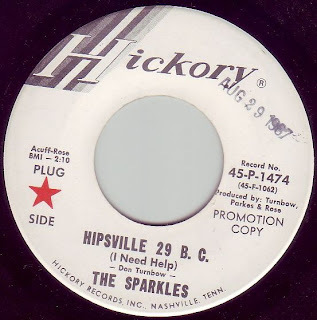 On the famous Hanna-Barbera Records label. 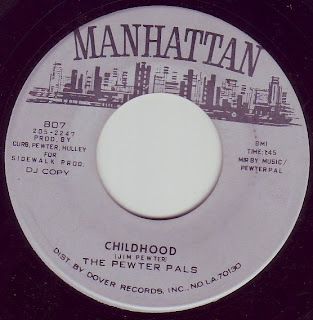 This is a real moody garage number from a Long Island group, that eventually put out an album of good pop/psyche in 1968. 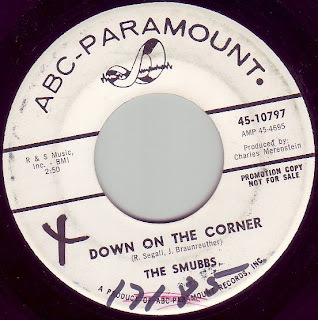 They got the name "Smubbs" from the last initial of each members name. How ingenious. Not to be confused with the Cryan Shames of Ben Franklin's Almanac fame, this group was from Liverpool. "Pussycat" is a total ripoff of Dylan's "On The Road Again" while the flip (actually 'A' side) is a cover of a Drifter's tune. Real sappy, but I'm a sucker for good beat ballads. 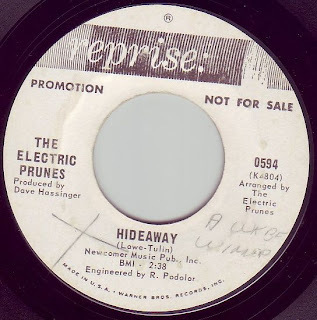 For my money, this is hands down, the best Electric Prunes song ever. Real eastern style riffing with pounding drums, and the guitar break is awesome. Dig it. Most of this guy's stuff was garbage, and he put out a lot of it, but he did have a few winners, and I think this one's cool. He puts a Mitch Ryder spin on this dopey classic, and it's got terrific fuzz guitar. The flip is a beach/teenybopper tune.